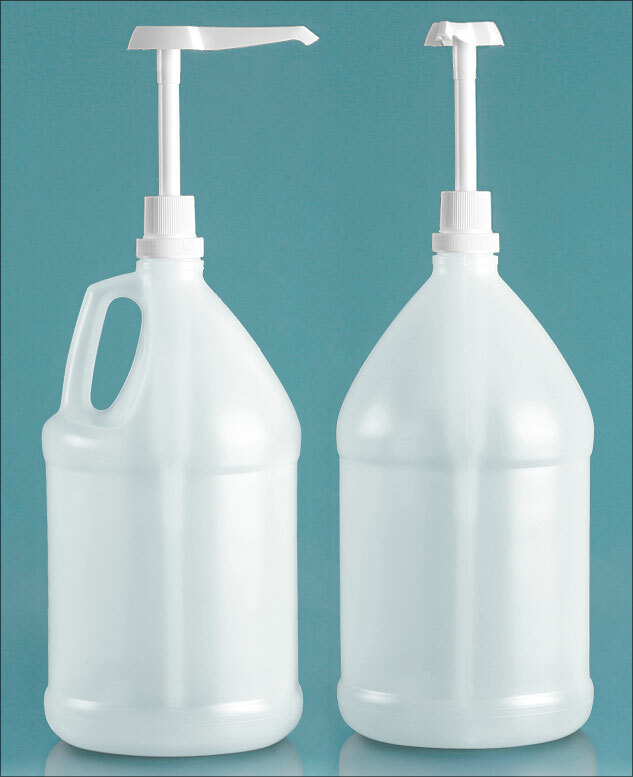 The natural HDPE round handle jugs include white industrial pumps, which dispense 1 oz of liquid per stroke. Each white plastic jug has a 5.5" (140 mm) tall label panel. 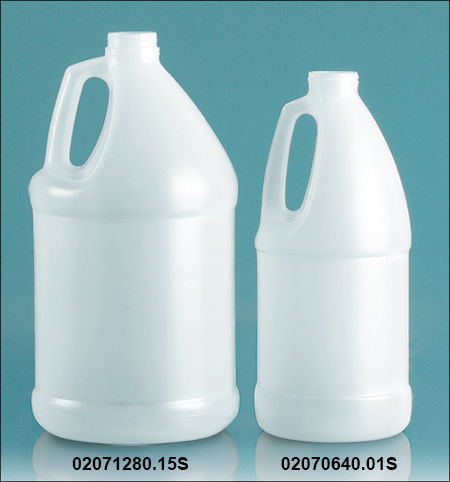 These plastic jugs could be ideal for packaging and dispense bulk-sized skin care products, industrial products, cleaning solutions and more.